Click on a widget to show its advanced settings on the left panel. Drag the Social Networks widget to your website and add links to your accounts and groups in social media. 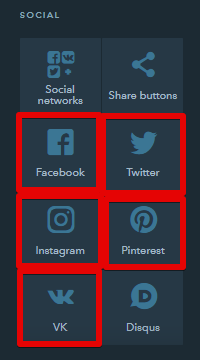 Add links to your social media accounts and arrange the buttons the way you need by dragging the elements on the left panel. Show the feed of your social media page to visitors by simply adding a widget. 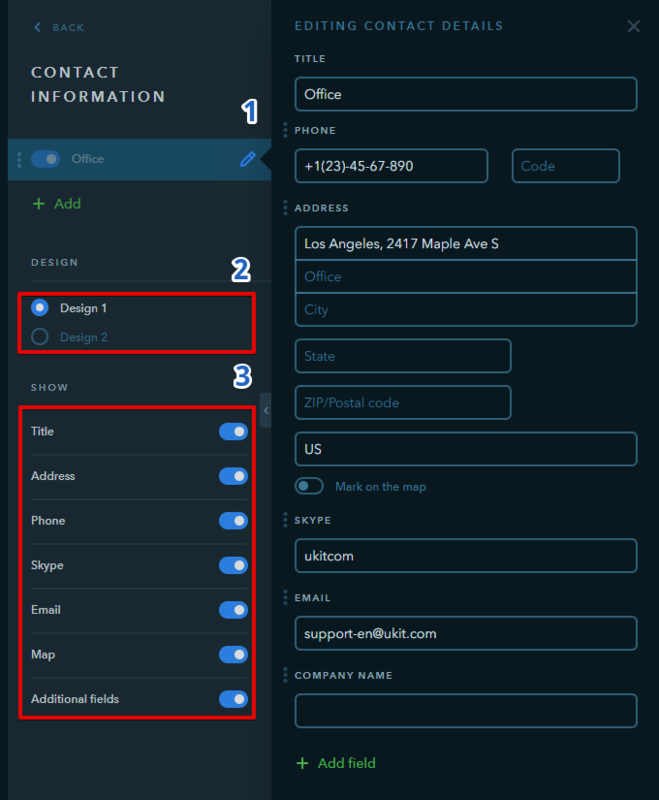 Enter your address, a marker heading and additional information about your company. You can add up to 50 markers to the map. The Video widget allows to embed video files from YouTube and Vimeo hostings. 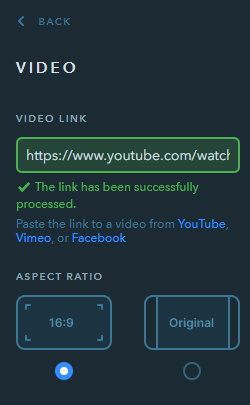 Add the widget to your website, click on it to show settings and paste a link to the video. Make sure embedding on third-party websites is enabled in the settings of your video on a hosting website.